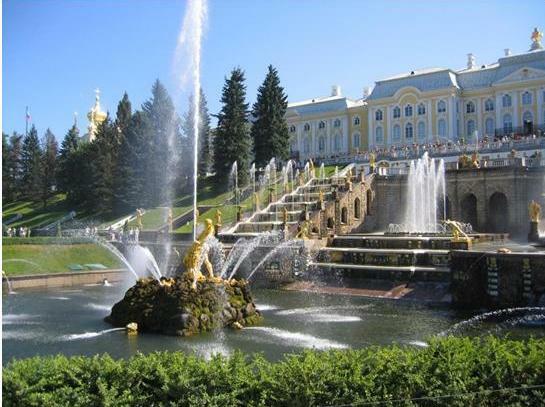 This Friday is the last #FriFotos. The weekly twitter trending hashtag was started five years ago, and the #FriFotos hosts decided that it is time to end this weekly fun. Each week a theme was announced on Tuesday and everyone on Twitter was encouraged to share their photos around the theme. I always enjoyed thinking about my travel photos in a new way – instead of gathering all of my pictures from one particular trip, the theme made me think about things I saw on many trips. For the final #FriFotos, the theme is #memories – get your photos ready to share on twitter – and to see the memories that others share as well! Back on July 10 of this year, the theme was weddings. 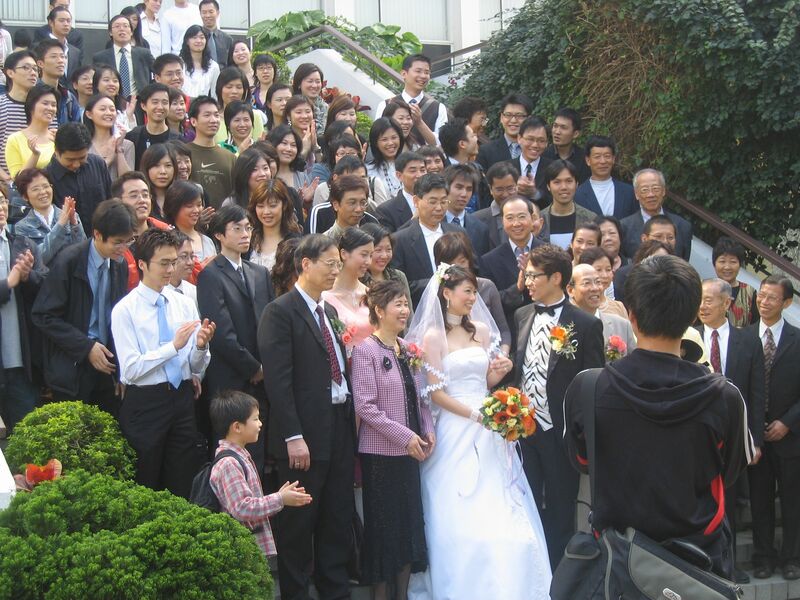 It’s always a happy time when you see a wedding party no matter where you are, and I especially love spotting weddings when I am on a trip. Here are some of the photos I shared in July – some are from weddings of friends here in the U.S. In all of them, everyone is very happy for the couple and their life journey ahead. 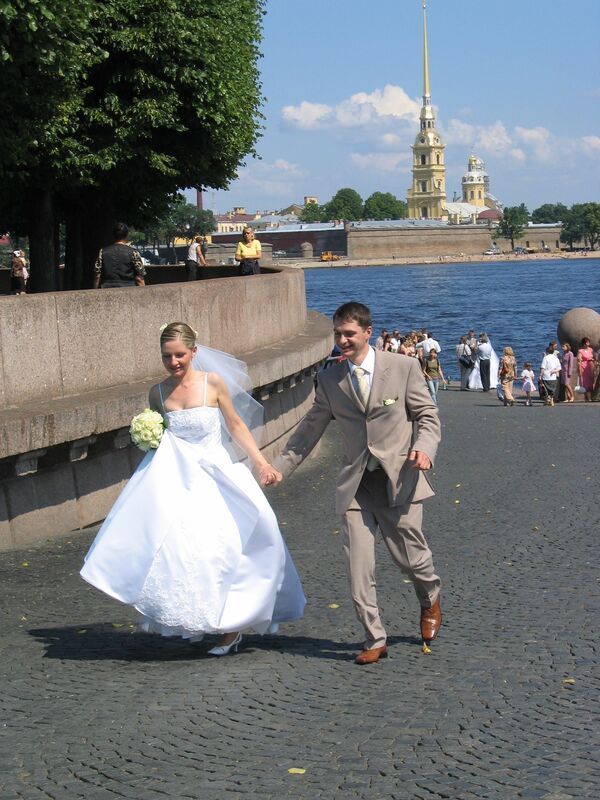 A happy couple after posing along the water in St. Petersburg, Russia, in 2005. 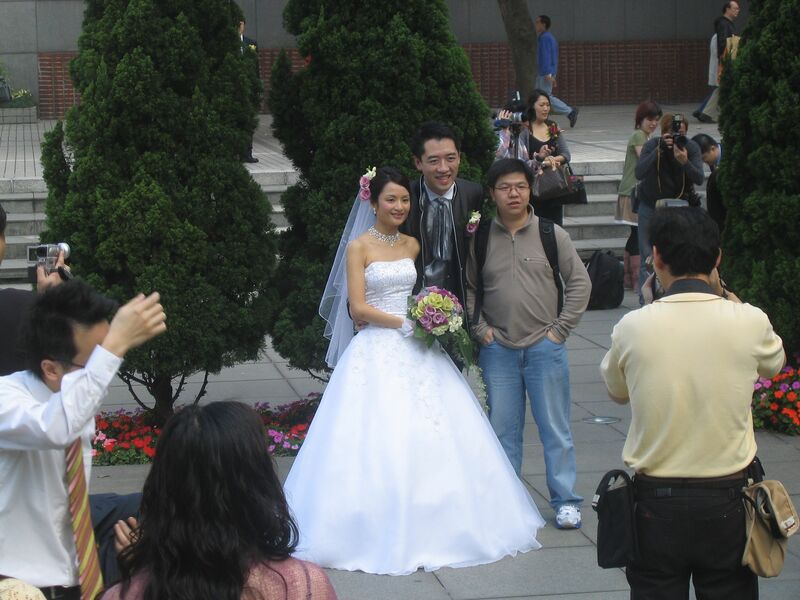 It was a beautiful summer day and there were brides and grooms everywhere taking photographs. 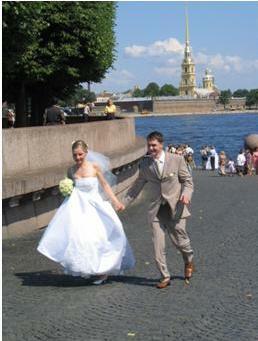 If you look behind this couple, right along the water, you can see the white of another bride’s dress. 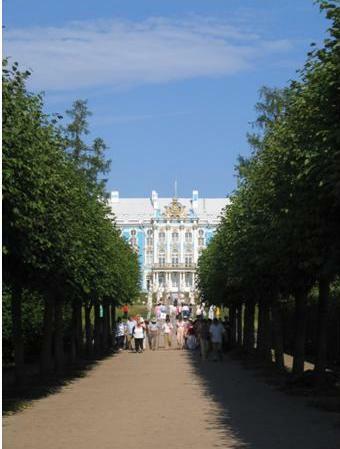 St. Petersburg, Russia with Peterhof in the background. 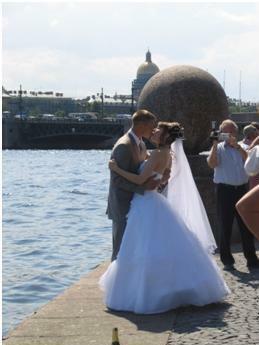 Here is another couple on that same day in St. Petersburg. 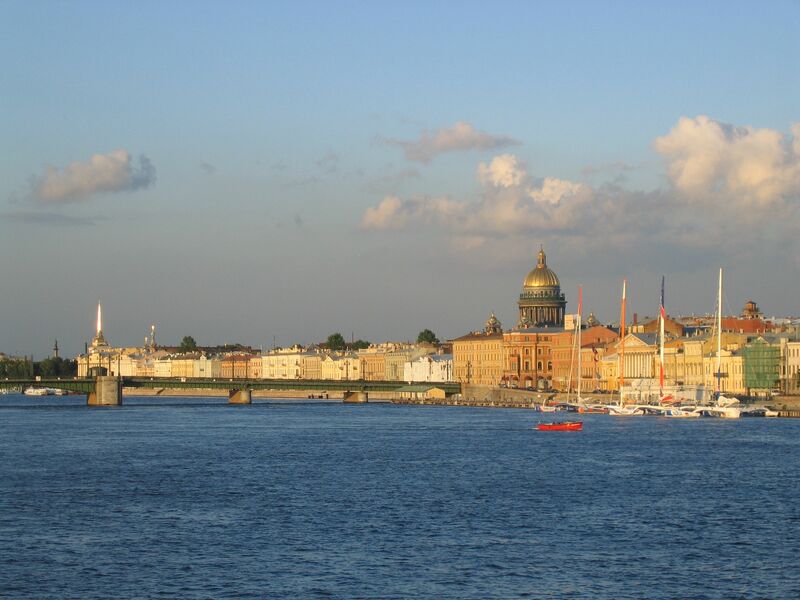 Kissing along the water in St. Petersburg, Russia. 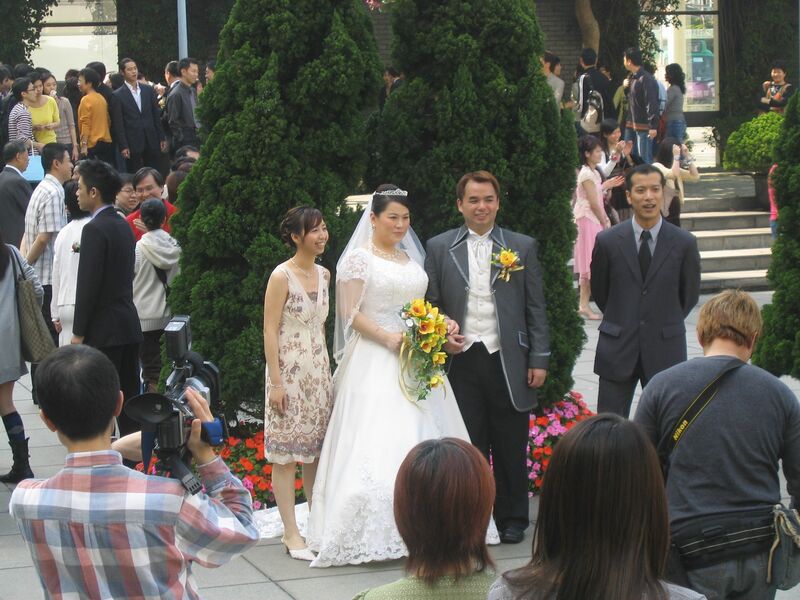 When I was in Hong Kong for business in 2006, I wandered around exploring the city and by chance came across city hall. There, there were wedding parties everywhere! 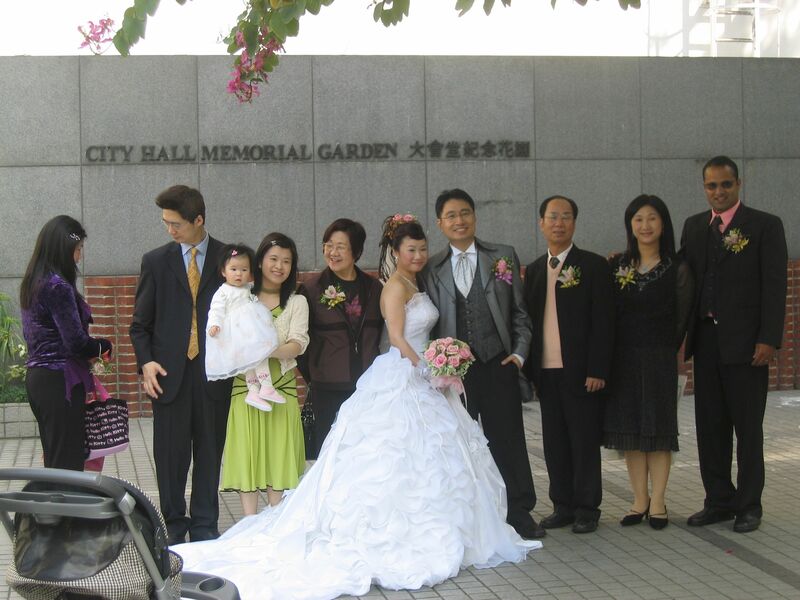 The entire courtyard was full of brides, grooms, bridesmaids, groomsmen and family and friends. 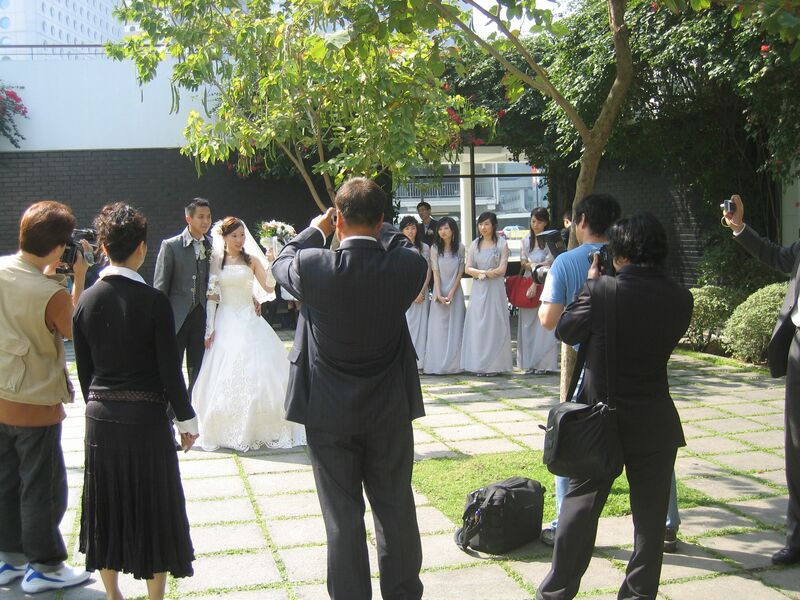 As you can see from the photos below, every where I turned was another wedding party! Here are some photos of my friend’s weddings. 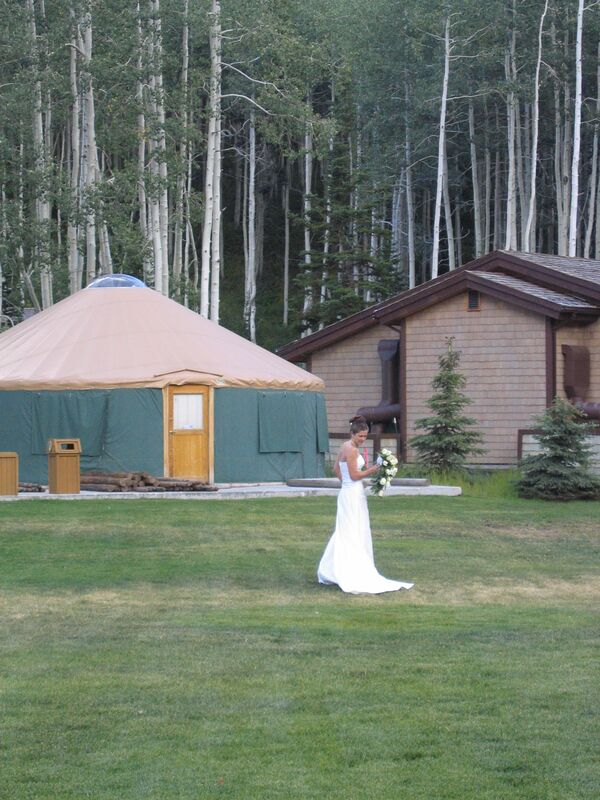 My high school friend married outside in Park City, Utah on a lovely summer evening. My dear college friend Marianne married in the fall in a castle in Maryland. 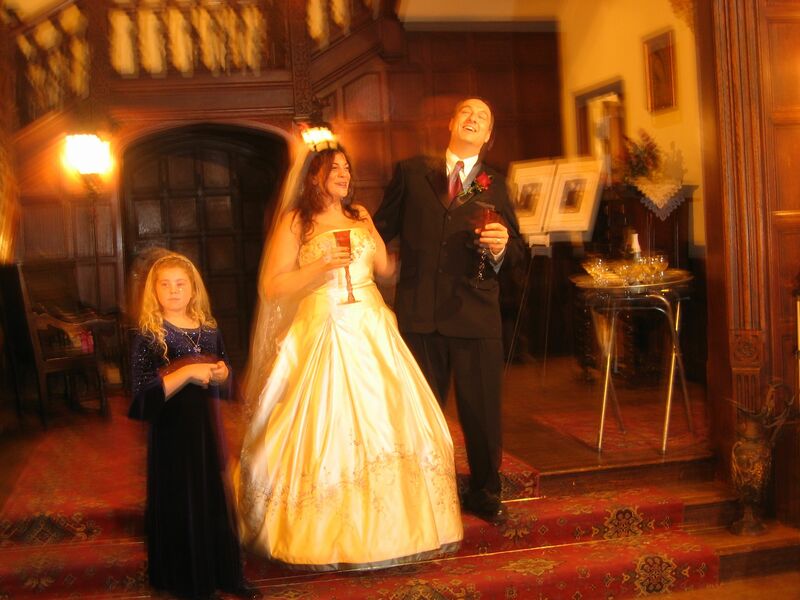 The picture is blurry, but I love how happy Marianne and Jon are as they make a toast. 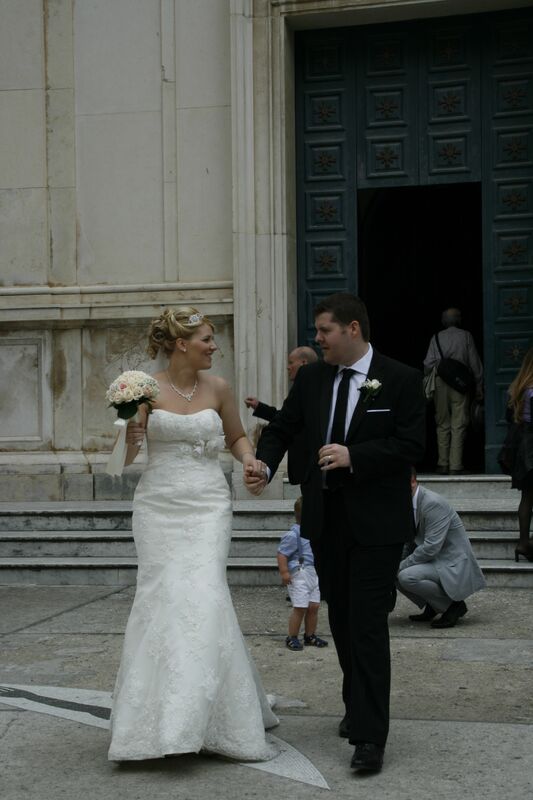 While preparing this post I remembered some additional wedding photos I snapped while in Italy in 2013, and I thought it would be still fun to share them here. We saw this couple in Naples posing for photos with a photographer and videographer. 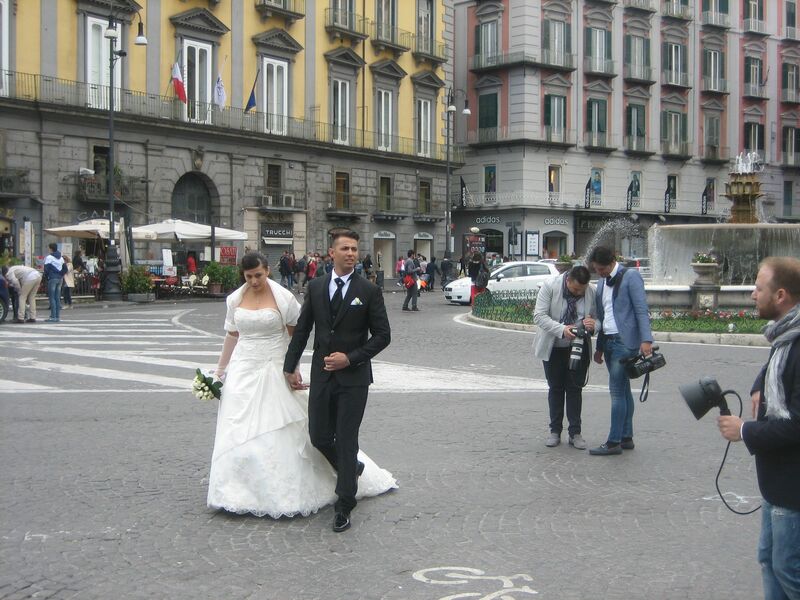 Bride and groom in Naples with their camera and video crew. In Positano, we saw this couple as they exited a church as newlyweds and then posed for photos. 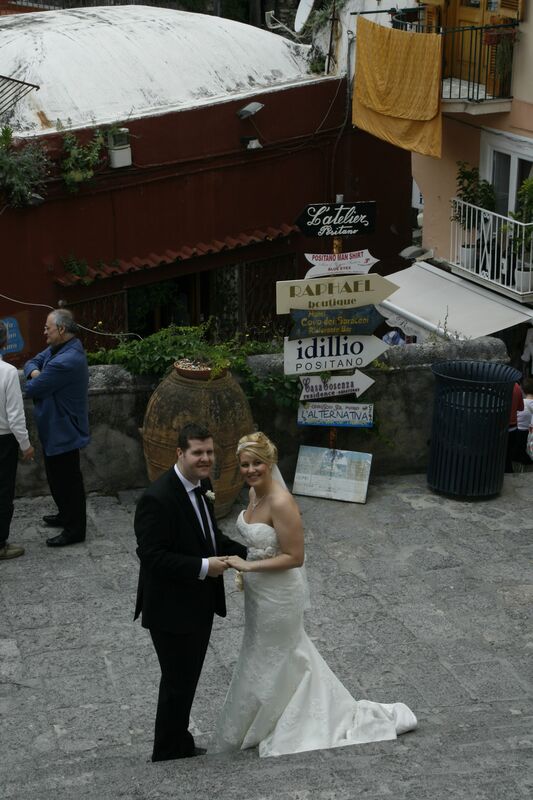 Happy couple in Positano leaving the church. Posing on the steps in front of the church in Positano. 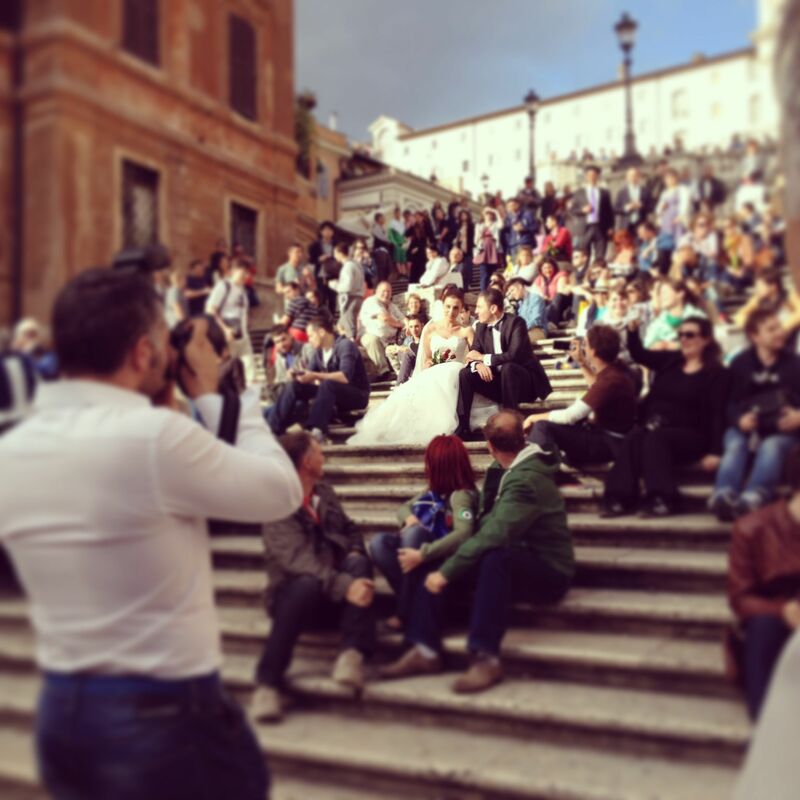 This couple is almost hard to spot on the Spanish steps in Rome, until they pose for the photographer. 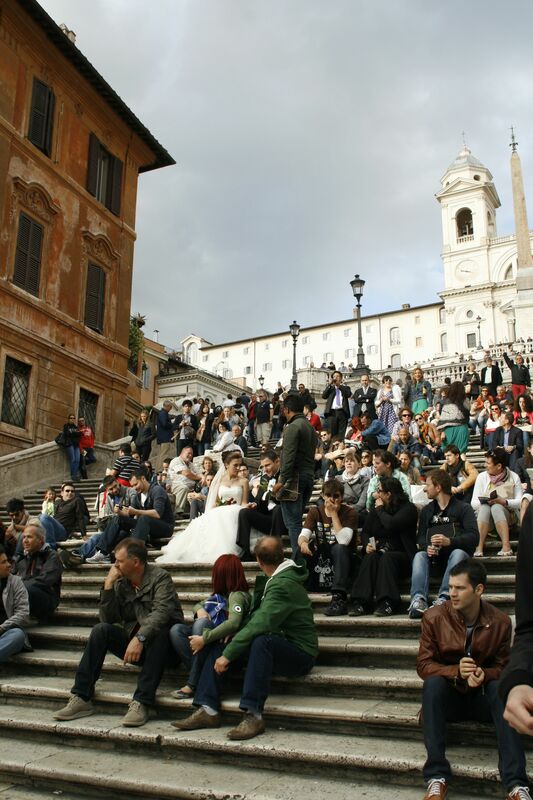 Can you spot the bride and groom on the Spanish steps? 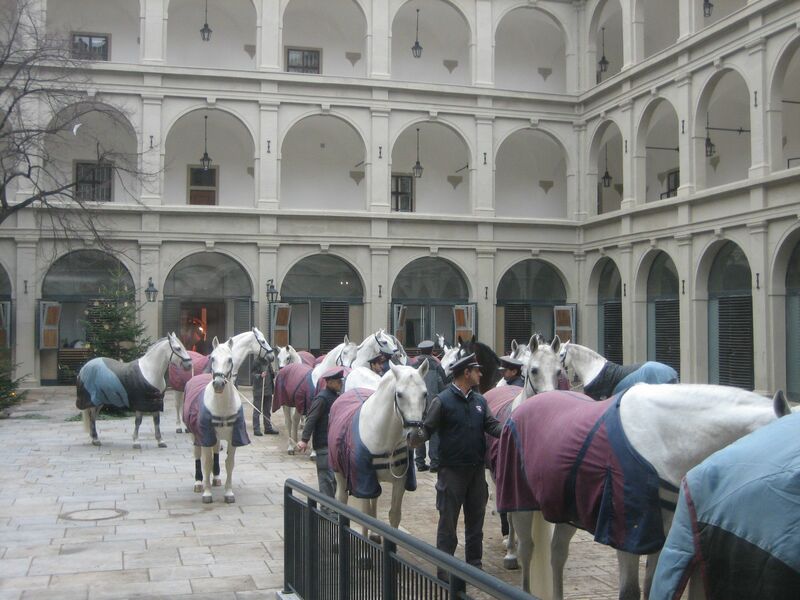 New to #FriFotos? Here’s a quick guide on the rules by Jeffrey Epstein. 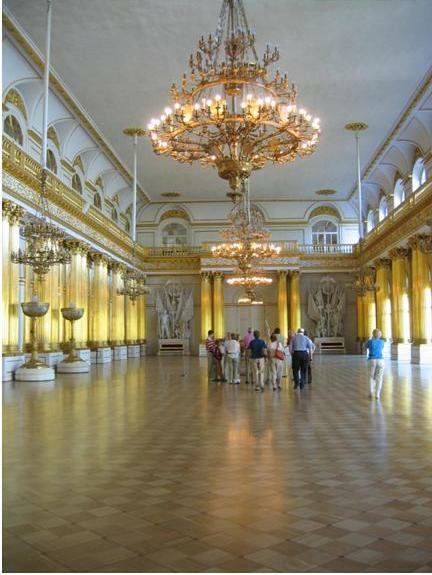 Remember, the LAST FriFotos is this Friday, October 16, 2015. The theme is MEMORIES! 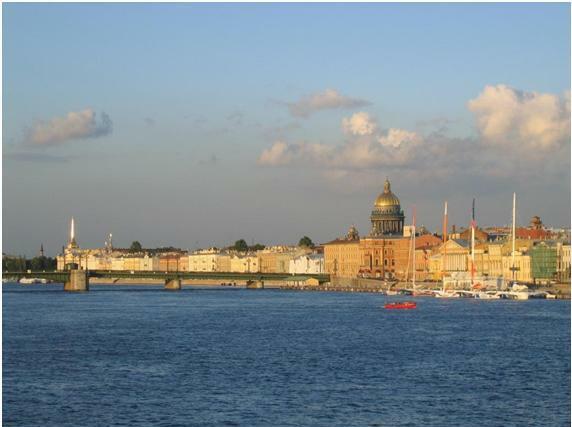 Ten years ago, I was on a Baltic Sea cruise. 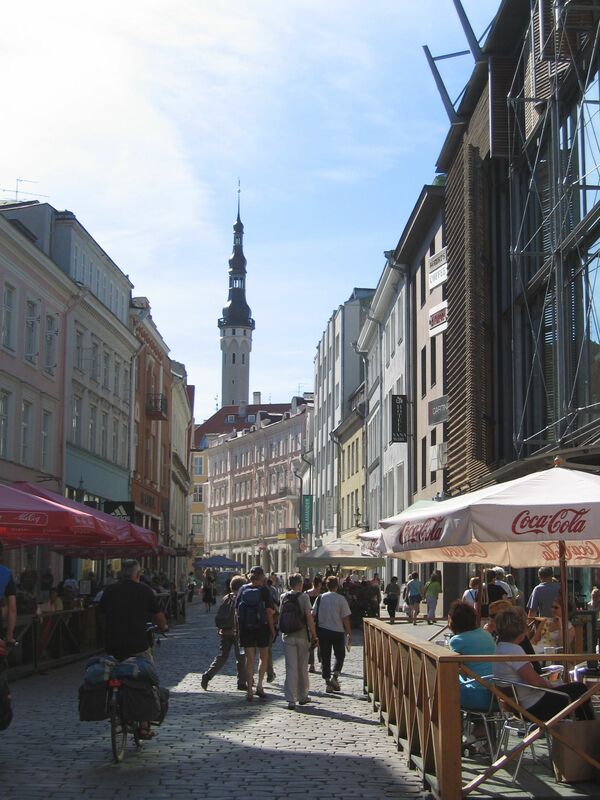 We spent an afternoon in the lovely town of Tallinn, Estonia, which was beautiful. From high up in the town, we could see the port and all the cruise ships and ferries docked there. 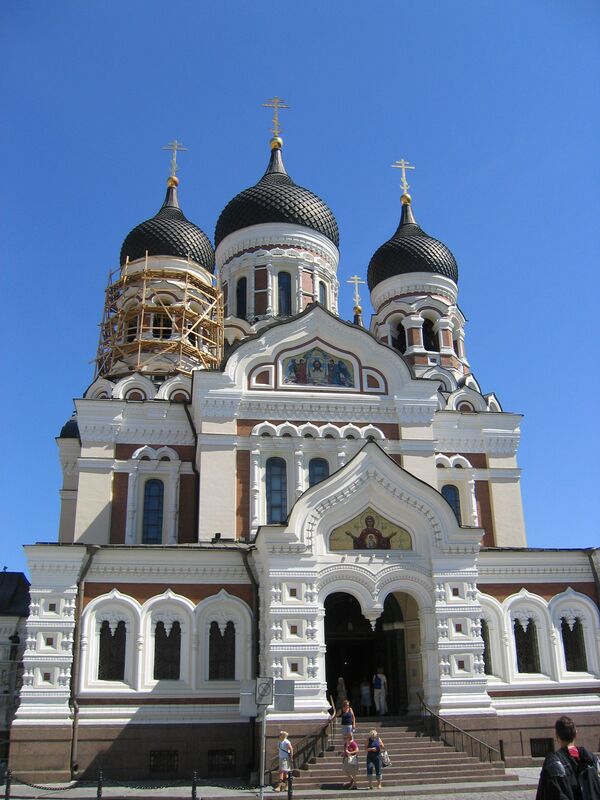 This is the Cathedral of Alexander Nevsky in the Old Town of Tallinn. 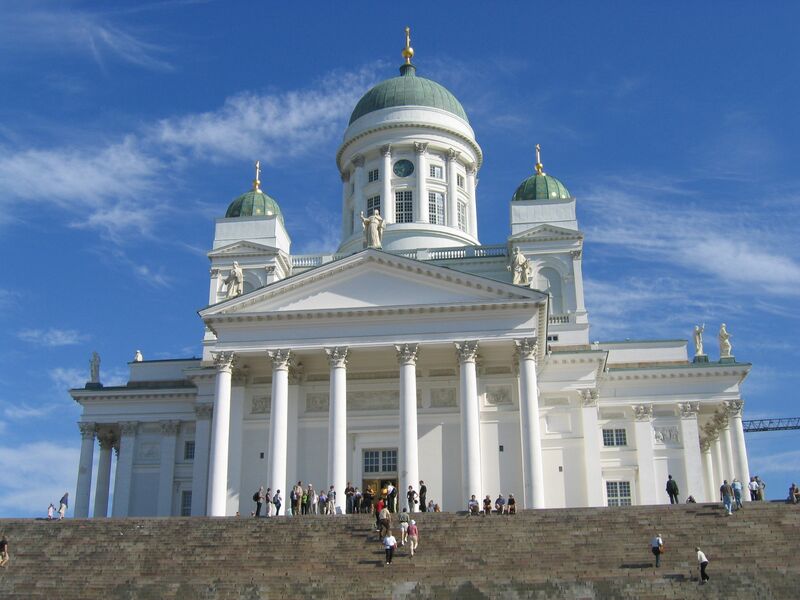 Alexander Nevsky Cathedral, Tallinn, Estonia. 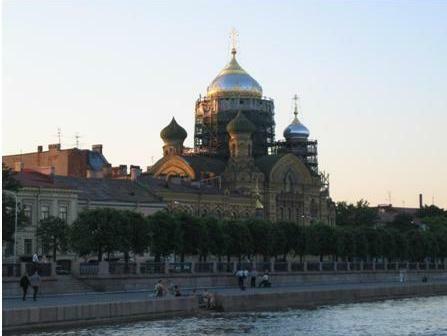 The onion domes are simple yet so beautiful against the bright blue sky. 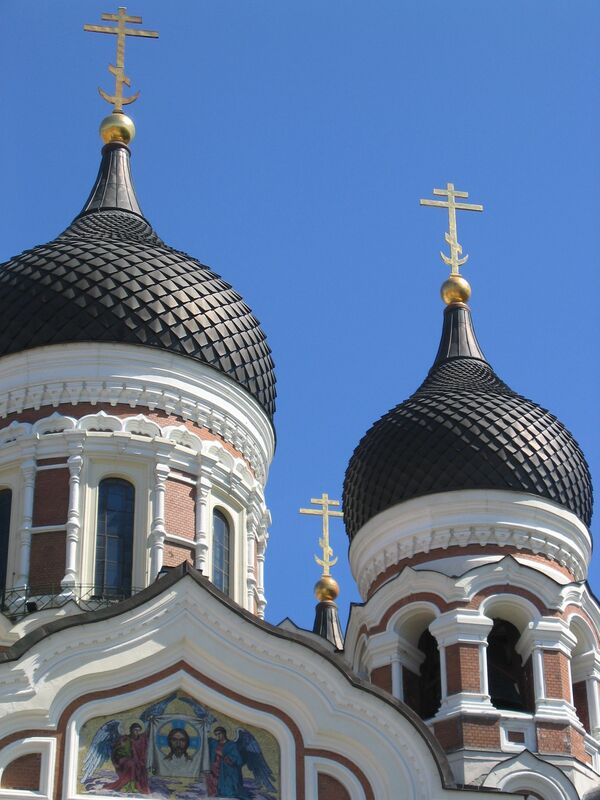 The domes of Alexander Nevsky Cathedral, Tallinn, Estonia. After our guided tour, we were allowed some free time to explore on our own before returning to our ship. I wandered the cobblestone streets of the old town, and discovered a lovely shop with beautiful hats and other handicrafts. The streets of Old Town Tallinn, Estonia. I purchased a simple raw linen hat. It had a wide brim that I could mold up or down, to keep the sun away from my face as needed. It was lightweight, and easy to pack. Unfortunately, I did not take a picture of the shop where I purchased the hat, which I now regret. 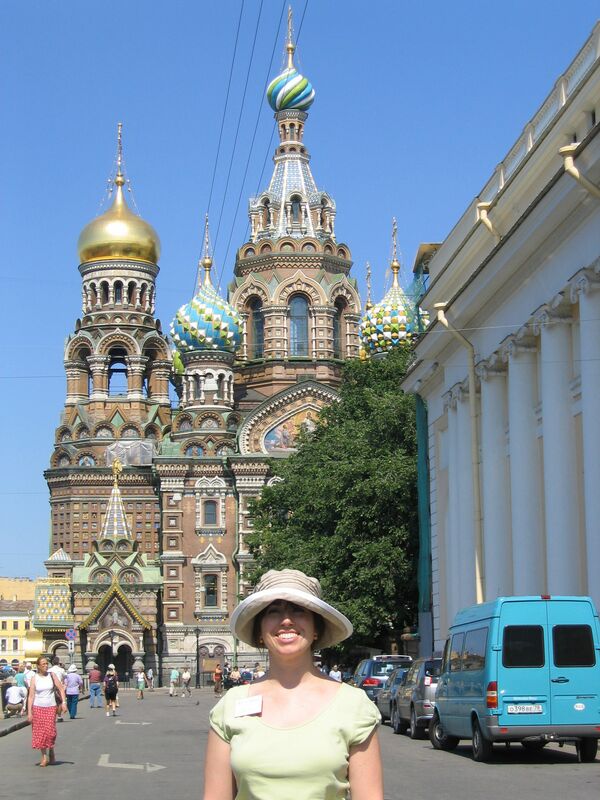 I wore the hat in St. Petersburg, Russia, on our next stop on our cruise. 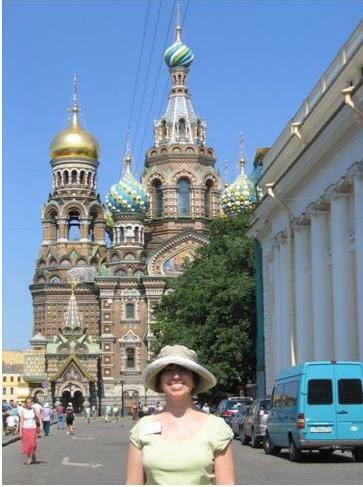 In front of the Church of Spilt Blood, or the Cathedral of the Resurrection of Christ, in St. Petersburg, Russia. And then I brought the hat with me on future travels. I received many compliments on it, and I loved that it was perfect for traveling! Here I am wearing it in Kyoto, Japan. Wearing the hat in hot and humid Kyoto, Japan. 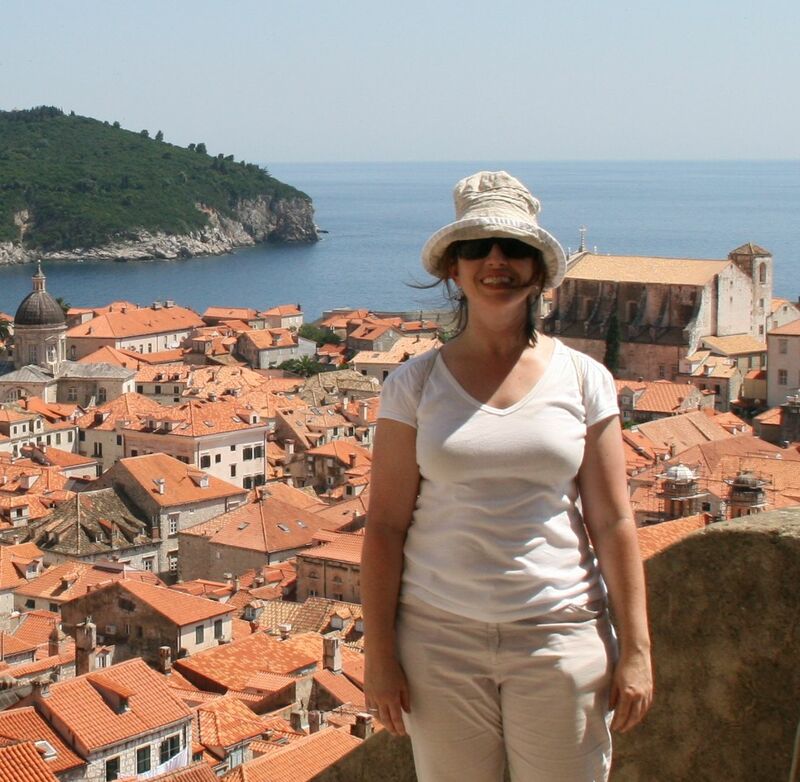 I climbed the old city walls of Dubrovnik, Croatia, wearing the hat. Walking the old city walls of Dubrovnik, Croatia. The hat came with me to South Africa and I wore it when we visited wineries in Franschhoek outside of Cape Town (I’m the one on the far right). 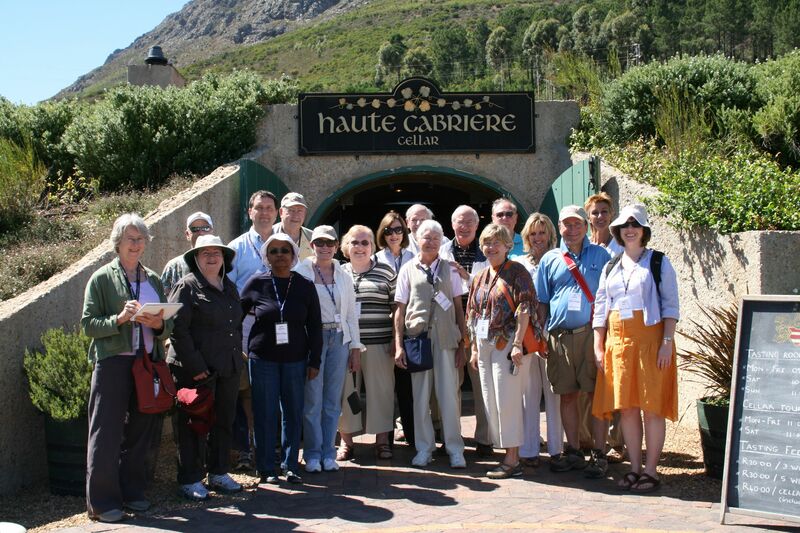 With our group at Haute Cabriere wine cellar in Franschhoek, South Africa. And then, the hat was gone. I do not know where or when I lost it, but suddenly it was not with me any more. For some reason I think it was lost during an airport security check, but I really do not know. 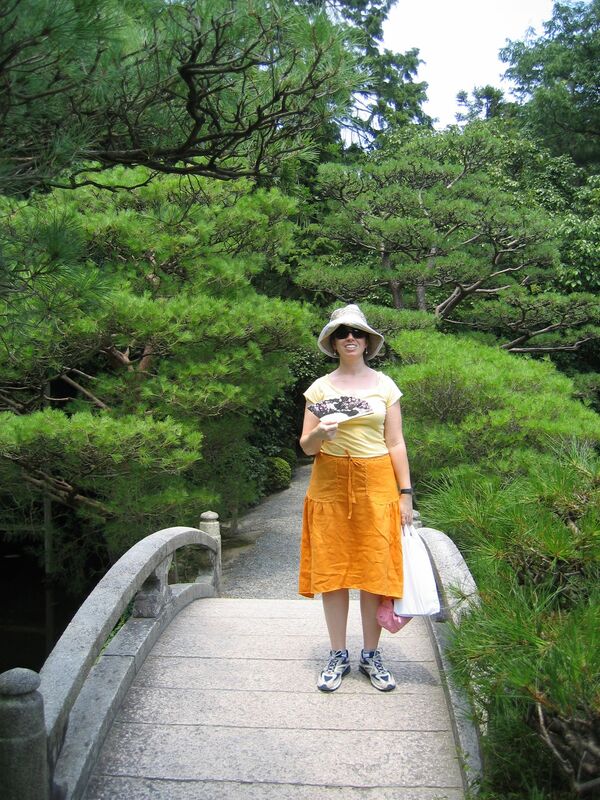 I was so sad – it was the perfect hat for traveling, keeping cool and not taking up any suitcase space. And, it was machine washable! 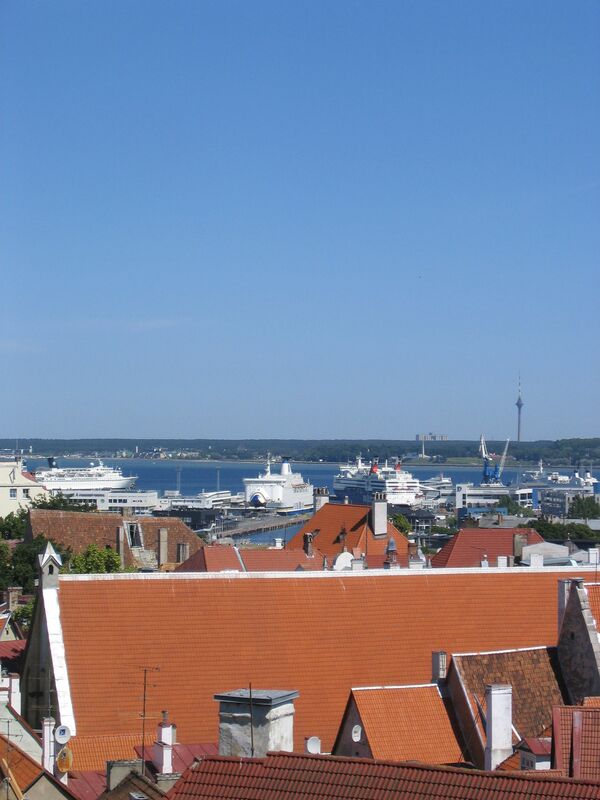 A few years ago, I returned to Tallinn, Estonia, on another Baltic Sea cruise, and I searched frantically for that shop where I purchased that hat (now you see why I regret not taking a picture of the shop). 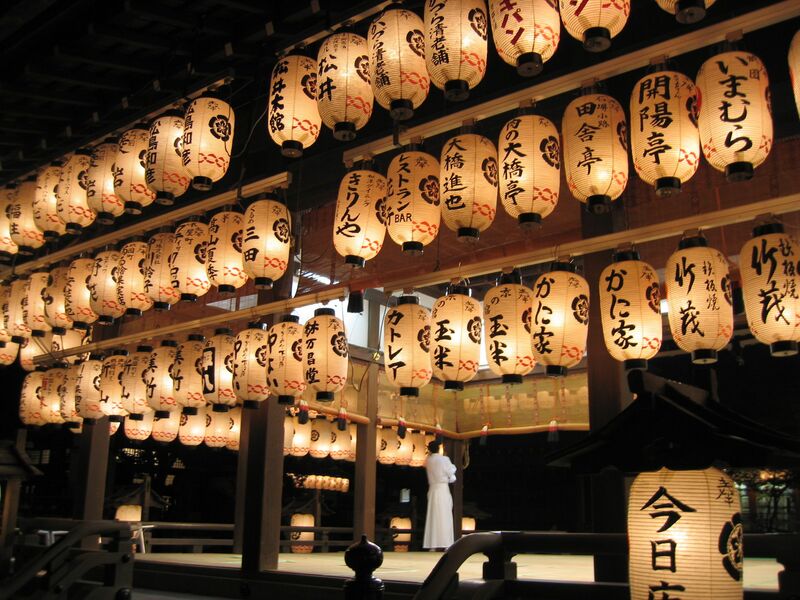 I found many shops that sold linen goods, but did not find any with simple linen hats. Sadly, we only had a short amount of time in Tallinn, because otherwise I would have visited every shop in the Old Town until I found another hat! Have you ever purchased an item of clothing while traveling that you then took on a future trip? Have you ever lost a treasured souvenir from your travels? Please let me know in the comments.